As an Apple fan, you probably know by now that the company announced its newest product, a smart watch available in three editions which includes fitness tracking and health-oriented functions, as well as integration with iOS platform and other Apple products. Apple Watch was released a few days ago and its price ranges from $340 for the Sport model to $17.000 for the 18-karat gold edition. You can read more details about the features here. If you are interesting in buying the Sport watch model, we recommend to have a look at this ingenious new translation app called Heart to Heart. It acts like an universal language communicator allowing users to communicate in real-time in 64 languages with their Apple Watch or iOS device. This should come as a good solution for travelers, people studying abroad or those who are having a conversation with someone in a language they don’t know. 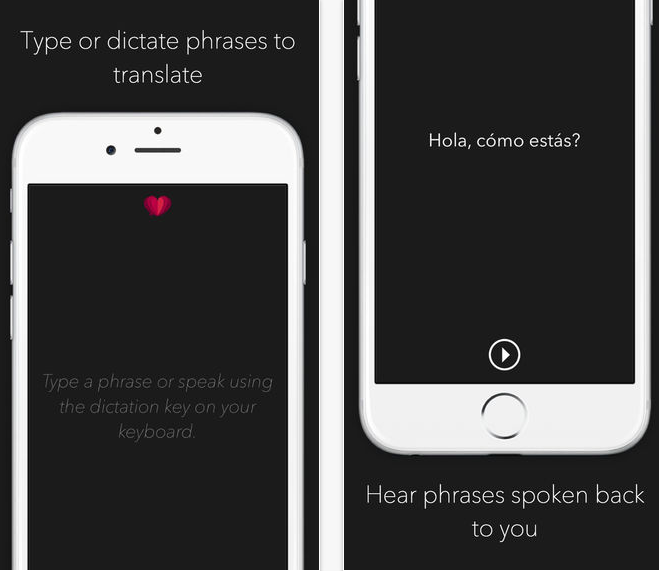 In terms of capabilities, Heart to Heart app can translate an unlimited number of words, phrases or speech into 64 languages, connect your Apple devices to communicate with another use in close proximity, quickly dictate on your Apple Watch or device without the need to type or the ability to listen to spoken phrases in their native languages. The app can be downloaded from the iTunes Store for $4.99.